Scrap Dance Two-Step is now over. 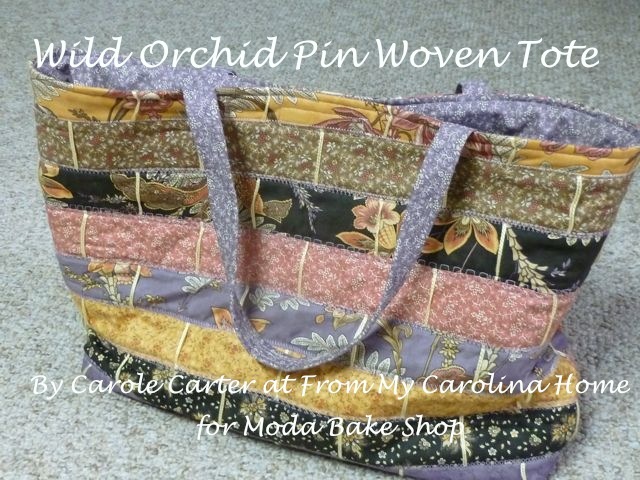 Check my Craftsy store soon for the complete pattern. Sharing the announcement post only, I will not be linking the individual steps. Thank you for all the helpful tips. 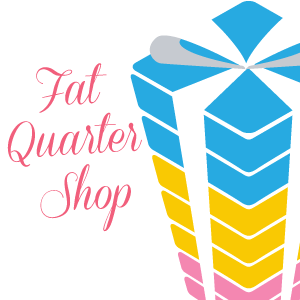 I am a beginner quilter, living in South Africa, and love your blog! I just want to ask, can I use polyester cotton for quilts? 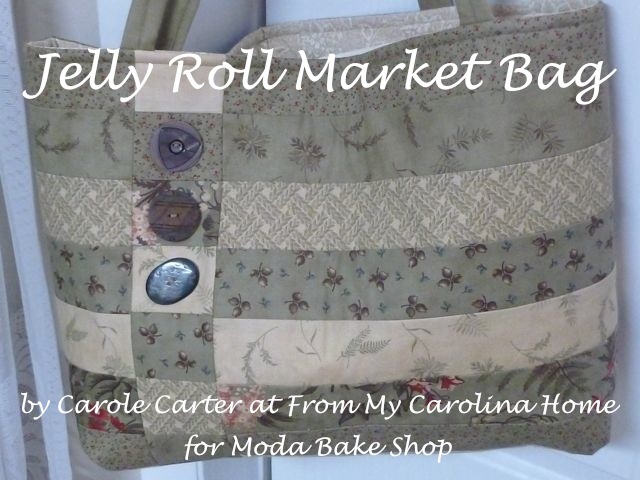 I have coordinated precuts I bought several years ago, jelly roll, fat quarters and some yardage. I didn’t buy them knowing what I would use them for so they’ve sat around here for years! Maybe it’s time to sew them up. With clues just once a month for 7 months, maybe I’ll participate. I don’t normally participate in mystery quilts, I want to make sure I don’t waste my time sewing something I’ll dislike but I’ve like all your quilts so I think the Two-Step will be a winner! Blessings! Oh why not give it a go. 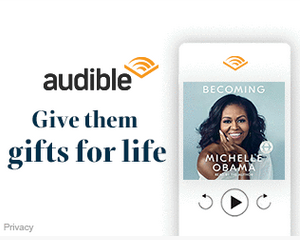 If I don’t like it for me it will go to charity or a gift anyway. So why not go with the flow and sew along. It’ll be fun. I can’t wait!!!! So excited for a new fun project with you. Also a big fan of George Strait! I’m don’t know what kind of fabric I want until I see what I will be doing, so I’ll wait until your first post before I choose something. Maybe it will be time for spring material or some fall, for when it’s finished. Hmmmmm. You got me with my favorite Country Music Singer, George! I am joining the fun. Oh my gosh so excited! I love your blog and so glad I found it recently. I cannot wait to get started! Sounds like a fun mystery. I love that song too. I love your mysteries, especially when there is a good deal of time “in between” so I can work them in “between” my other projects. I have a set of office “file trays” that I use with your projects. I keep them on the end of the shelf right above my desk, handy but not in the way. (That reminds me I better go clean out the remains of Scrap Dance Tango. ) I am “between” projects right now, and am thinking about all my UFO’s. Working today on another Christmas table runner. When it is finished, all the Christmas fabrics will get put away (finally). Also considering doing a little more next Wednesday at a Sit & Sew with those Autumn leaves. I have 2 containers of “bits and pieces” made (HST & stems) and parts and pieces. Time to get the other 7 placemats DONE! I look forward to the leisurely pace of this mystery. I am so excited! Your mysteries are always beautiful and great scrap busters. I will be putting borders on my Scrap Dance Waltz this weekend and anxiously awaiting the first clue. I also marked my calendar for every third Friday. Thank you for your generosity! I, too, LOVE your mysteries….and have made (or at least started and will finish “someday”) nearly every one of them! I am especially liking what I see of this one. 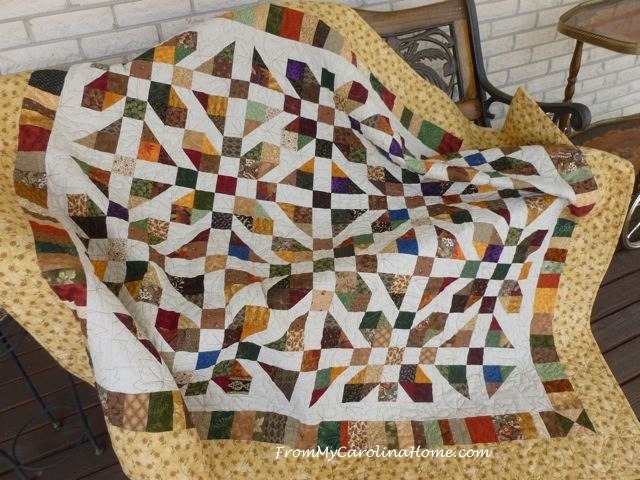 Love your color combo—I was just thinking yesterday about Mardi Gras (probably from something I read in one of your posts….lol) and thought I’ve never made a quilt in purples, golds and greens. So I may just have to copy…errrrr, I mean replicate your color scheme. 🙂 Have a great day and enjoy the milder weather…while it lasts….(sigh). I have a 19 month old running rampant around my house, stairs too! Good Morning Carole! Yes, definitely count me in and count Deanna in (she is still having issues with her computer)! Which means, I have exactly 7 days to get Scrap Dance Waltz all done! I can do that, if I can get all of these HST all squared up, the awnry little squares are off just enough to cause problems and it is not a whole lot of fun to trim them. LOL. Oh well, once I get them all done, hopefully it will be smooth sailing and a top will be completed. I am really looking forward to another one of your great mysteries Carole! So off I go to finish up and get ready…have a spectacular day! Well, if you didn’t know, you would so believe all his words, what a great sing-along. You have been busy to get the new Scrap Dance all ready for 2017. Not sure if I will join in, a lot of things to finish first down here, but will watch it all unfold. thanks! I am ready for a new project- I just finished scrap dance waltz! I may have to give into temptation on this one! I will keep track of it! Maybe ready. LOL I need a clone to do all the stuff I don’t want to do, so I can do all the stuff I do! I’m still working on my Scrap Dance Tango! My goal is to finish it by the first week in June for my dad’s birthday. I will sit this one out, but I will be watching! I am looking forward to giving this a try. I have many precut scraps. Hello There! 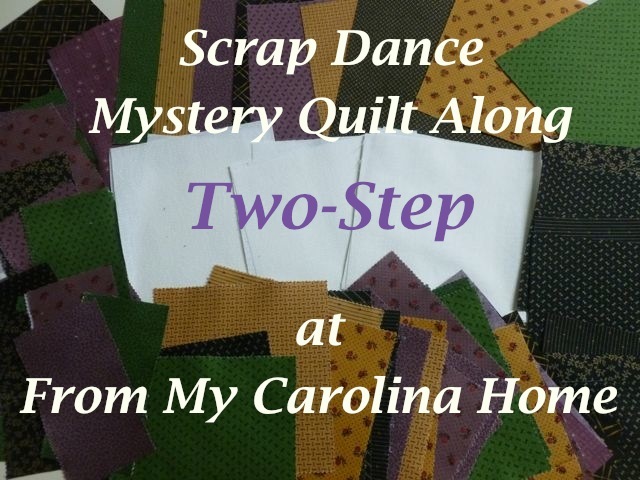 Your Scrap Dance Mystery Quilt sounds fun! I may have to join! By the way, I made your Autumn leaves candle mat. As I searched my blog for the completely finished mat, I realized that I never posted about the completed mat. It was a wonderful first wool project for me! Thank you for encouraging me to join in! Yup, after that success, I just may have to join in the Scrap Dance! Count me in! 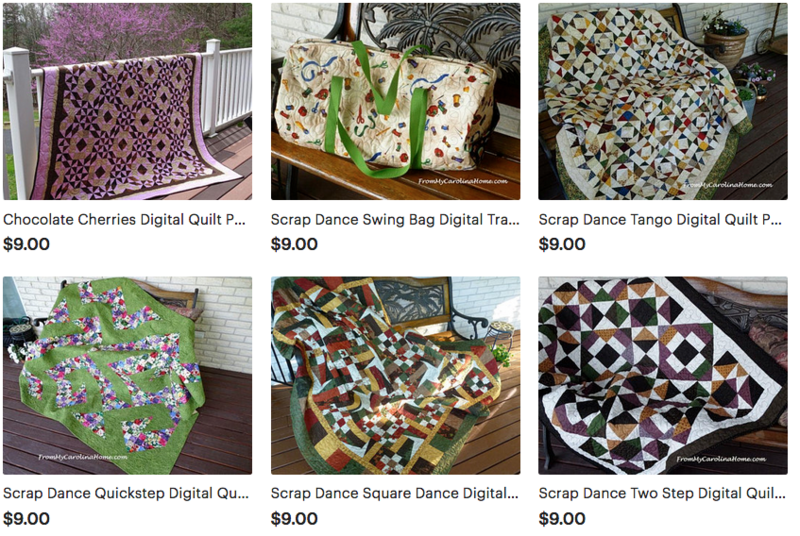 I just stumbled upon your blog via your previous Scrap Dance Mysteries (I’m going to have to make both of them! 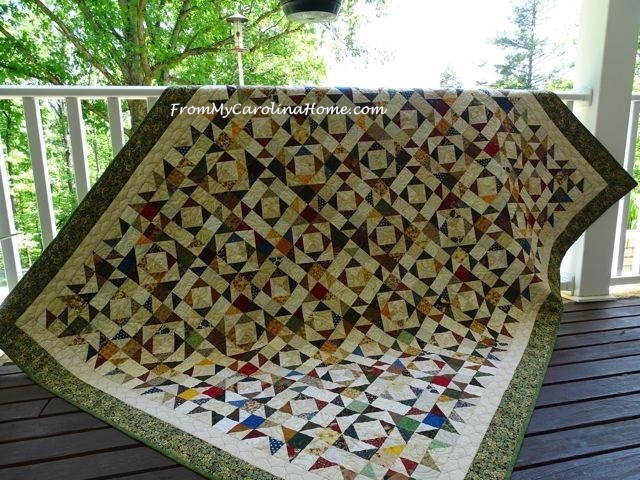 – your quilt designs are wonderful!) and am looking forward to joining you in Two-Step! I’m a ranch wife who has spent a lot of time dancing across Texas in my youth and I’ve met George Strait – such a class act! I’m pulling western prints from my stash for this mystery and working on the first clue today.